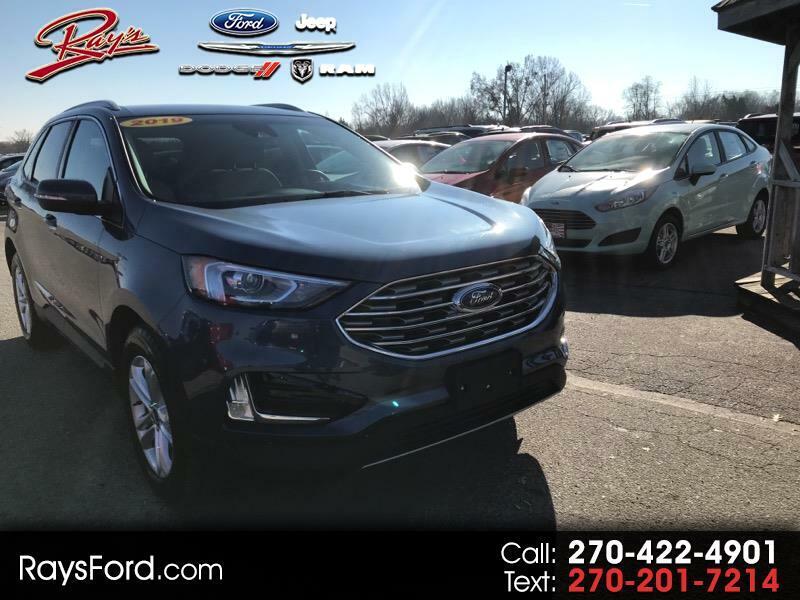 New 2019 Ford Edge SEL FWD for Sale in Corydon In Ft Knox KY 40108 Ray's Ford, Inc.
Visit Ray's Ford online at www.raysford.com to see more pictures of this vehicle or call us at 270-422-4901 today to schedule your test drive. INTERNET PRICE INCLUDES ALL DISCOUNTS AND REBATES +$750 TRADE ASSIST (MUST TRADE A 95 OR NEWER VEHICLE TO QUALIFY). CUSTOMERS MAY ALSO QUALIFY FOR MILTARY APPRECIATION, FARM BUREAU MEMBER OFFER, FIRST RESPONDERS BONUS, COLLEGE STUDENT PURCHASE PROGRAM, OR OTHER PROGRAMS. STOP BY AND SEE A SALES REPRESENTATIVE FOR MORE INFORMATION. The dealership makes every effort to insure the accuracy of any and all pricing, descriptions, incentives and discounts on all of the vehicles we offer for sale on our website. We reserve to right to retract any offer made on this website that is due to human error.